Gov. 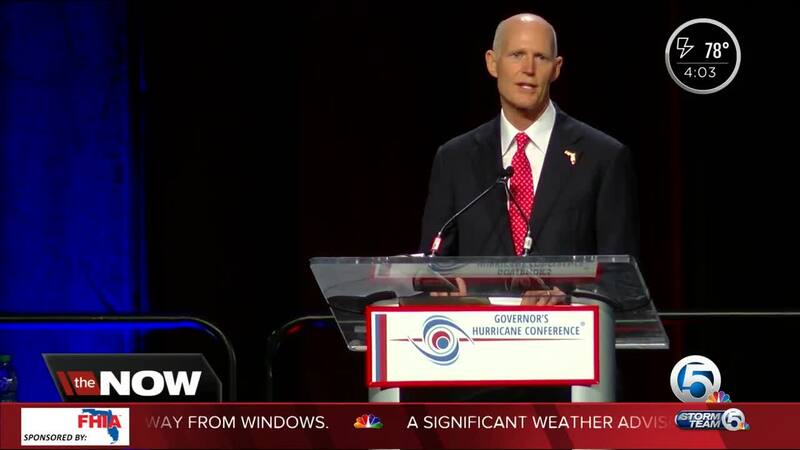 Rick Scott was in West Palm Beach on Wednesday to speak at the 32nd annual Governor's Hurricane Conference. 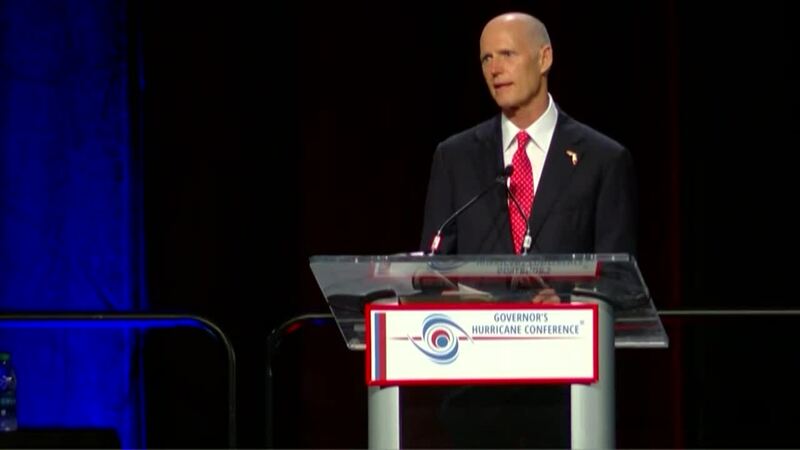 Scott took the stage at the Palm Beach County Convention Center shortly after 9 a.m. and spoke for about four minutes. Scott said they are placing a higher priority on getting fuel to residents, as well as working with the Florida Department of Transportation, to improve evacuations on state roads after shortages and traffic troubles from Hurricane Irma. Last year, the state opened the shoulders along highways for residents evacuating Florida and for fuel trucks heading south to replenish gas stations. Scott said this is something they will do again, but everything comes down to communication. “Having these mutual aid agreements in place early, so they easily share equipment, and people it’s helpful. I think the other bit thing is just getting people to talk to each other and talk about problems because you can’t solve a problem until you know about it,” said Scott. Scott said they rely on the public to provide feedback after a natural disaster. 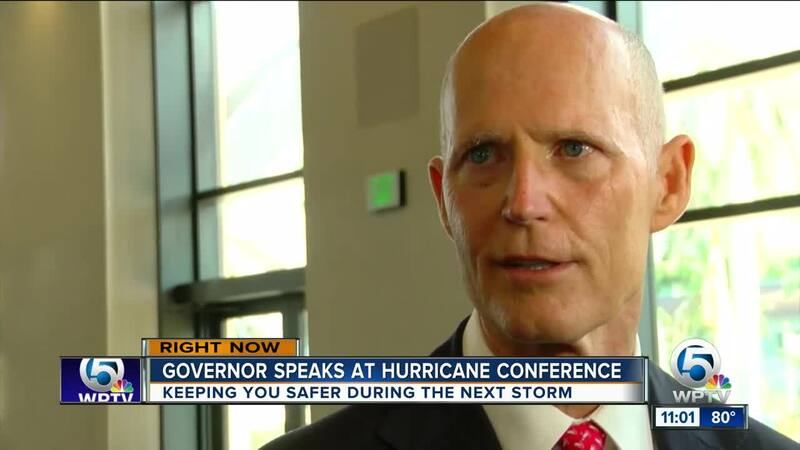 After reviewing concerns over the last several months following Hurricane Irma, he said state officials are confident they are ready to respond to hurricanes this season. The week-long conference is held each year to ensure emergency managers and first responders are prepared for the upcoming hurricane season. This year's theme is " Readiness is Everyone's Job " — emphasizing new methods to prepare residents for a storm. Emergency managers, first responders and medical professionals from across the country are attending the conference in Palm Beach County to brainstorm, discuss and train for a weather emergency. The Atlantic hurricane season begins on June 1 and ends on Nov. 30.